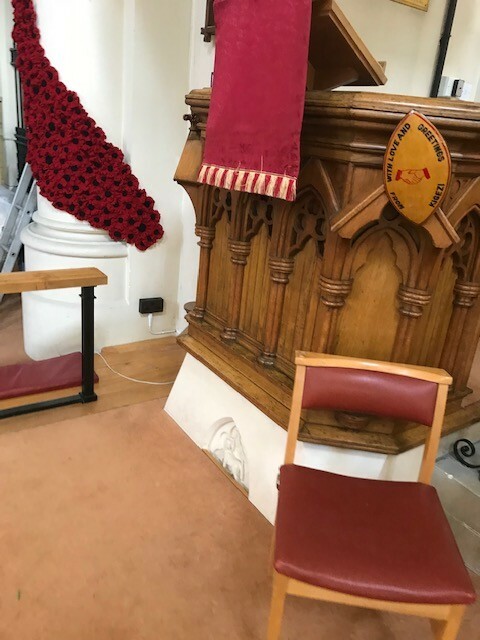 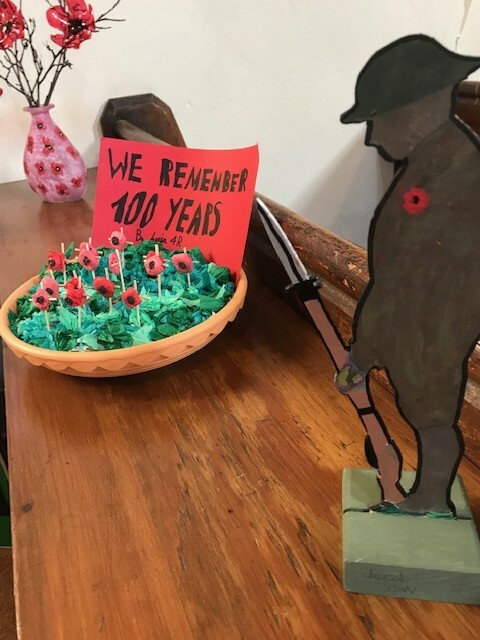 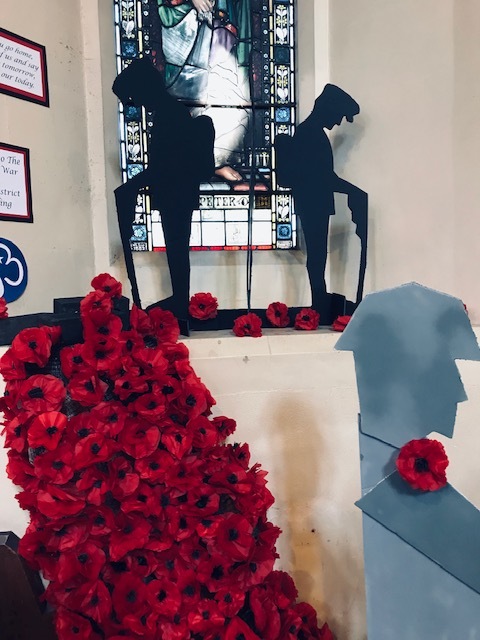 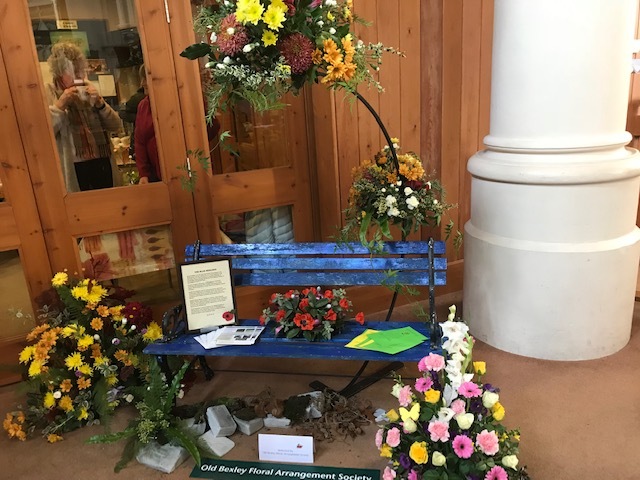 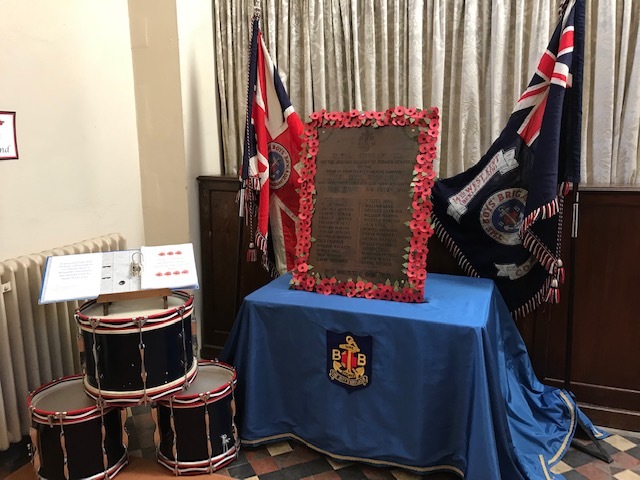 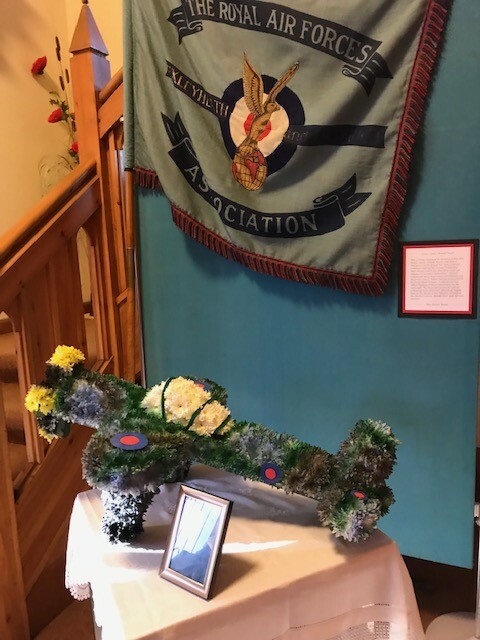 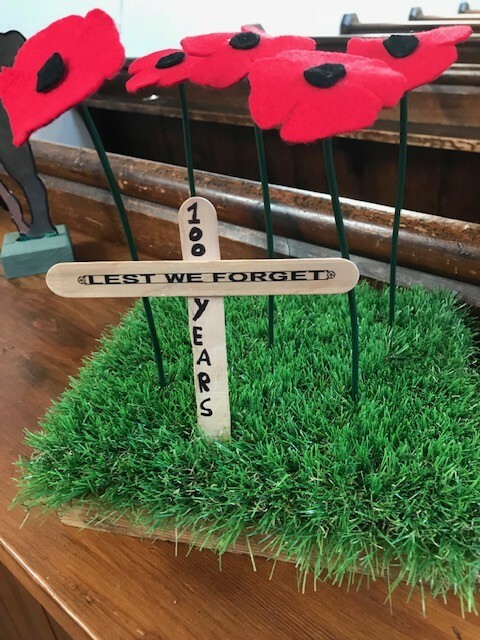 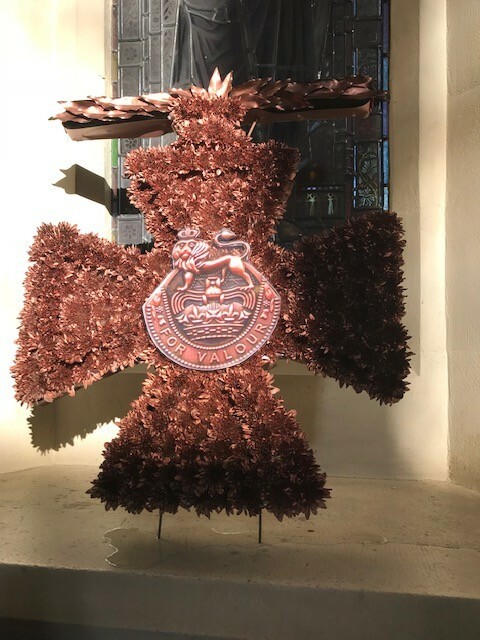 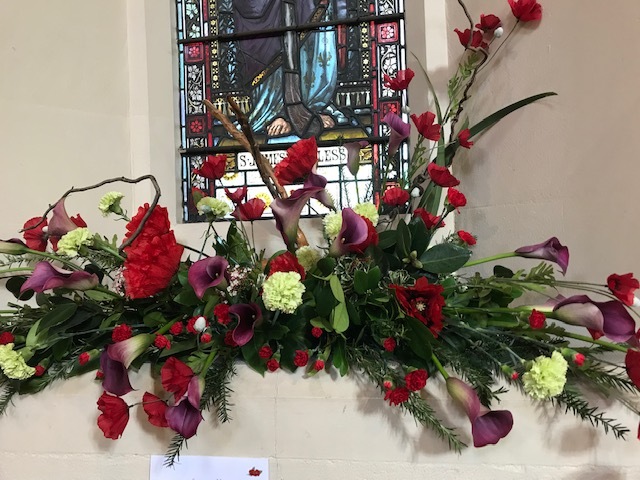 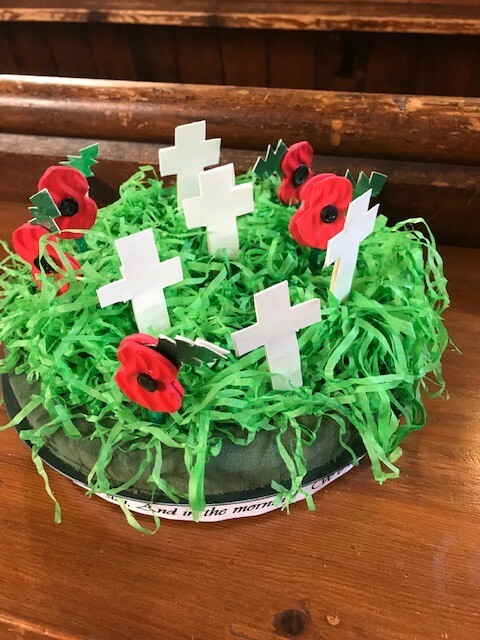 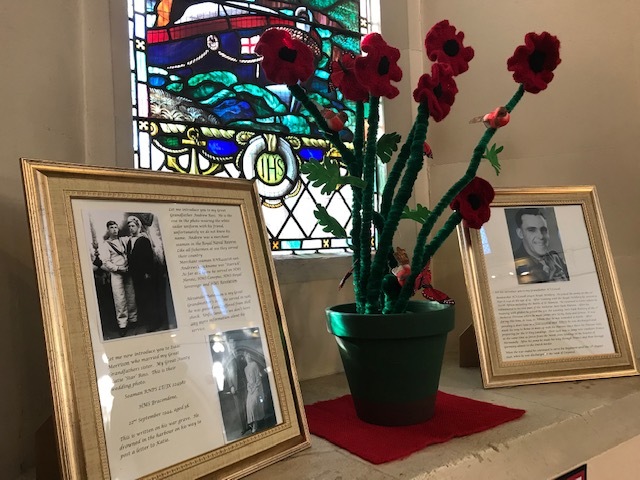 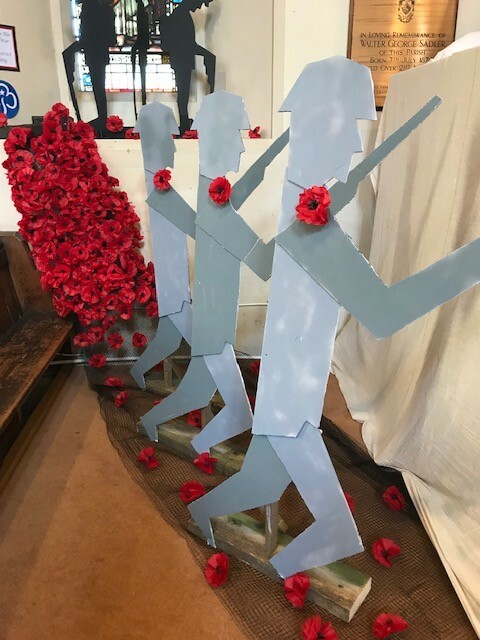 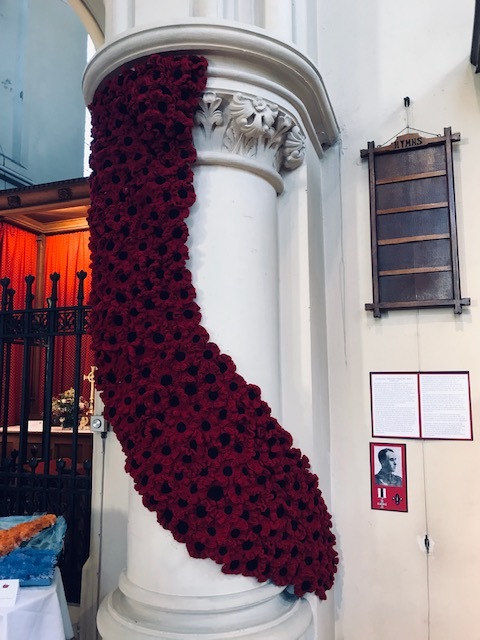 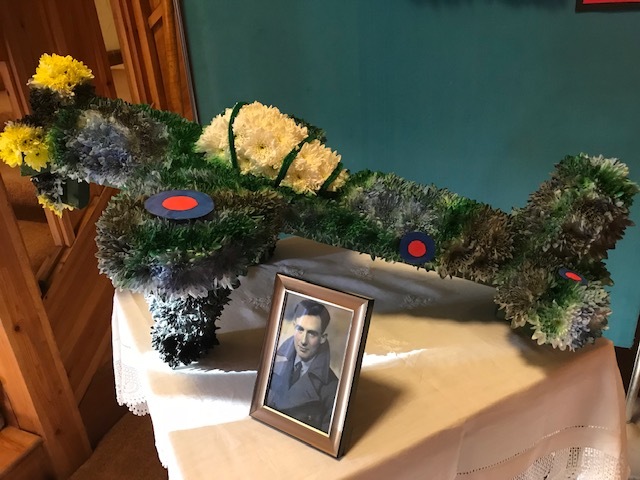 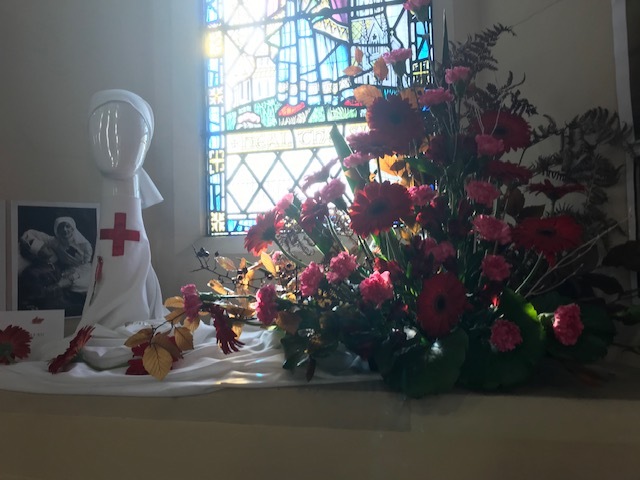 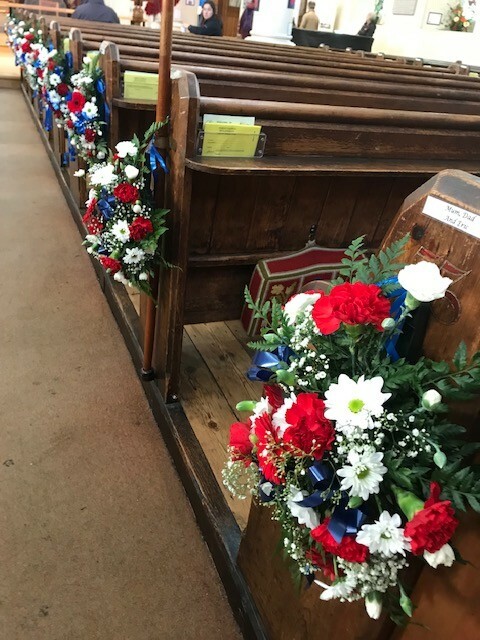 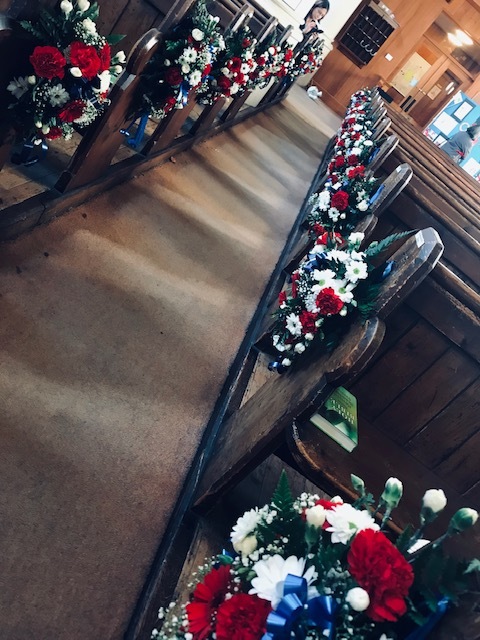 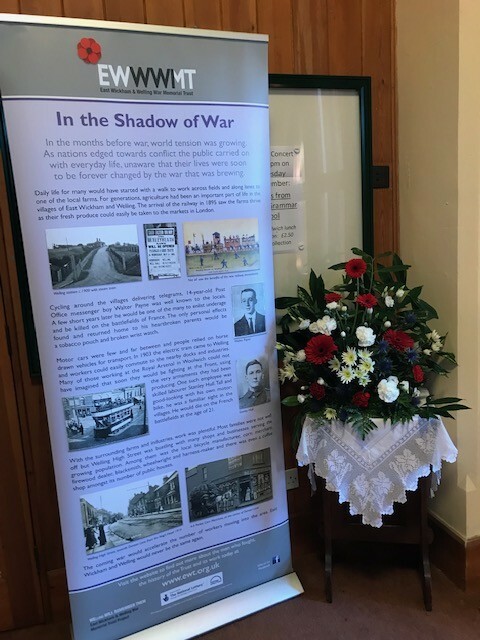 To commemorate the Centenary of the end of the War, Christ Church in Bexleyheath held a flower festival to remember all those who had served and died in the war. 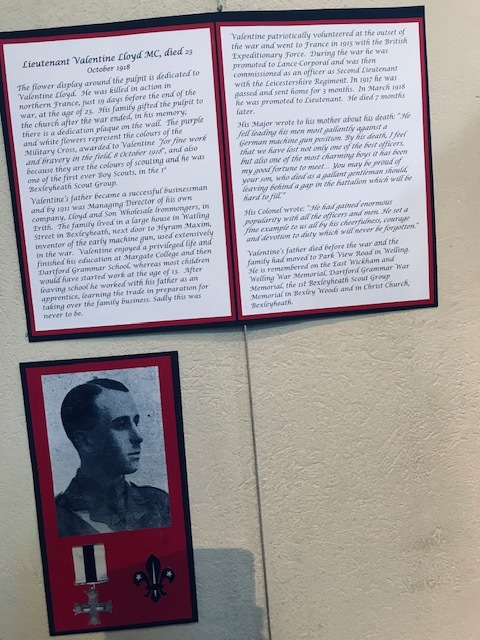 This included Valentine Lloyd, on our own memorial, who was awarded the Military Cross “for fine work and bravery in the field, 8 October 1918′. 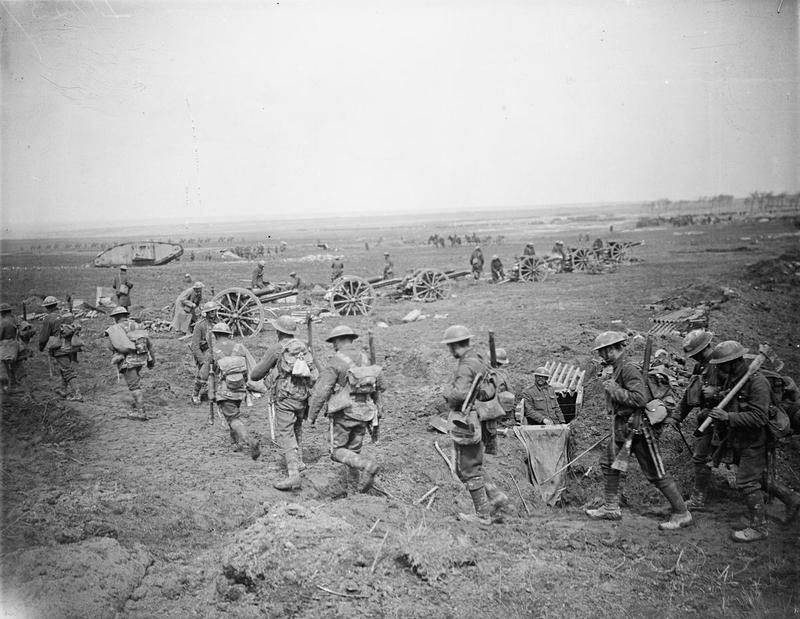 Two weeks later and 19 days before the end of the war, Valentine was killed in action while leading his men against a German machine gun post. He was just 23 years old. 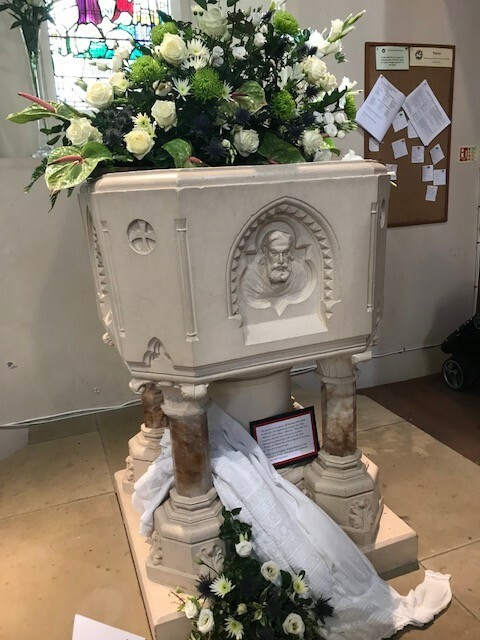 His sorrowing family gave a pulpit to the church in his memory and the Trust spomsored a display at the pulpit for the festival. 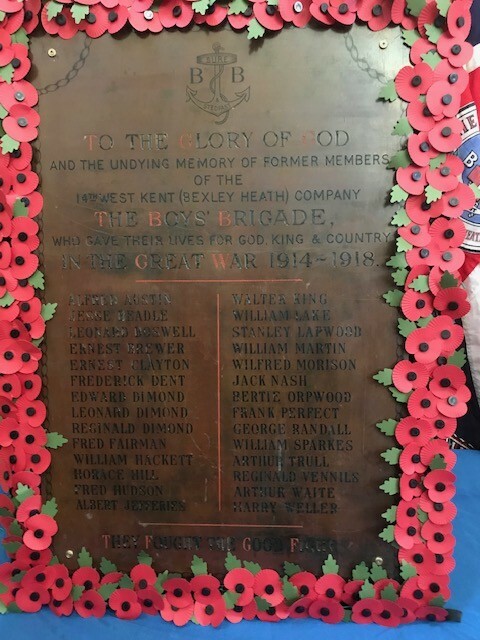 Ermest Brewer and Ernest Clayton are also remembered in the church, on the Boys’ Brigade memorial, pictured below. 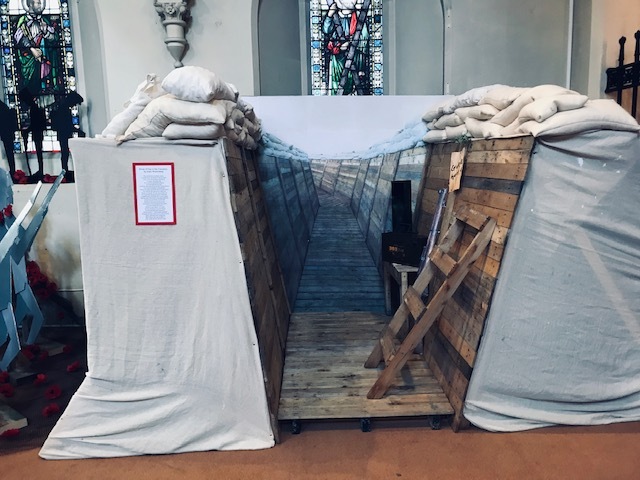 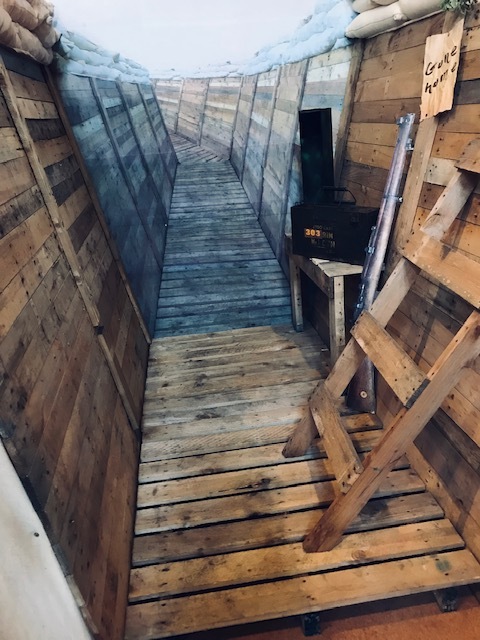 A full size trench was one of the non-floral displays. 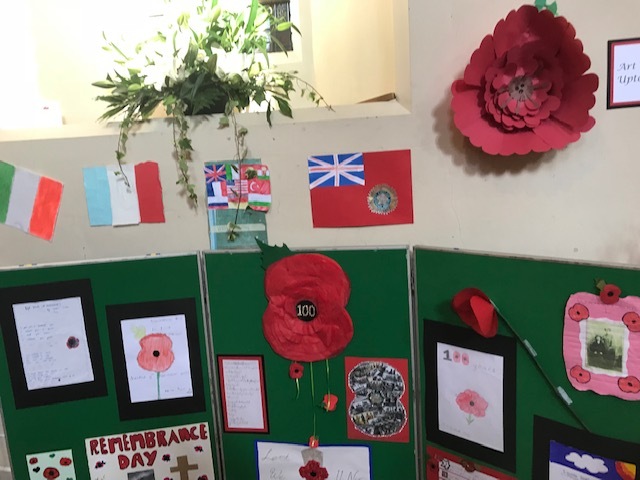 A small selection of displays are pictured below. 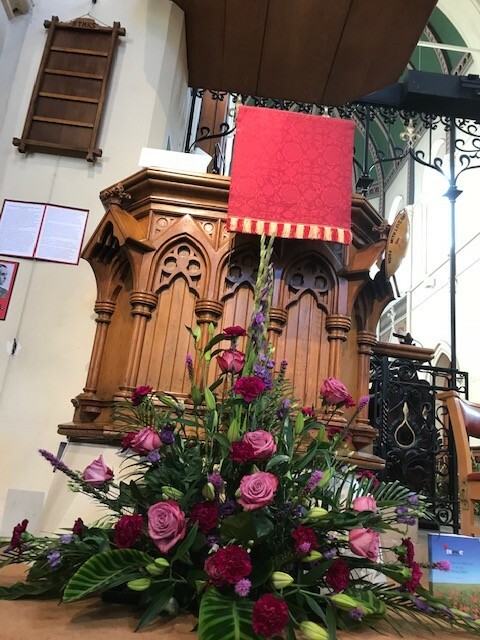 A full montage of photos, from Christ Church’s website. 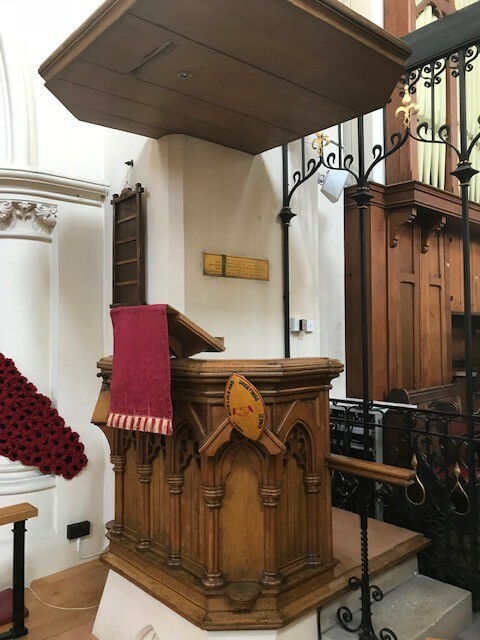 can be accessed here.